When installed block paved driveways look stunning. A clean driveway makes the whole property look better. 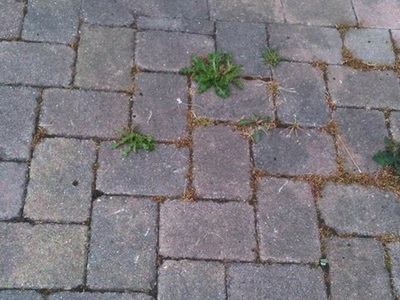 But unfortunately over time block paving gets dirty and weeds and moss grow in between the blocks. This leaves the area looking tired and dirty. 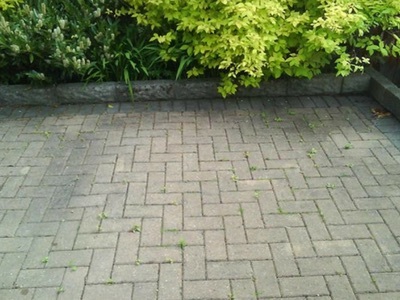 In one day we at Leeksons can transform the look of your property by cleaning your driveway. WE DO NOT USE KARCHERS. We only use professional grade, diesel powered pressure washers. 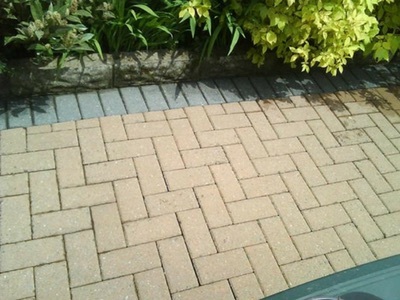 This enables us to clean your driveway to a much higher standard than if it were to be cleaned with an electric pressure washer. 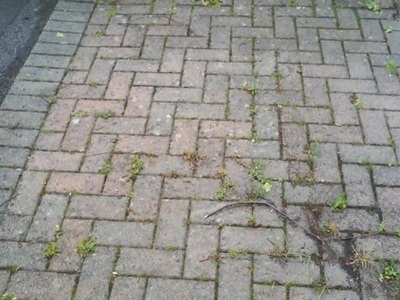 We also remove the moss and weeds during the cleaning process. The block paved driveway below was dirty, had moss growing in between the blocks as well as lots of weeds. This made the front of the house look dirty and messy. That is why the owner of the property asked us to clean the driveway for them revamping the look of their property before they put it on the market. The cleaned driveway gave a good impression to any viewers. 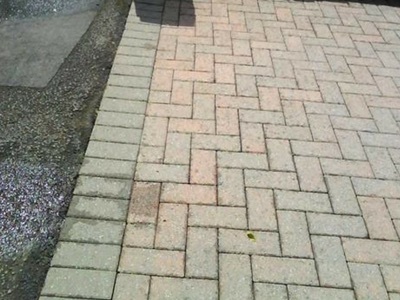 The owner was very pleased with the look of their cleaned driveway. The block paving below shows the before and after of a job we carried out in Chepstow. The owner of the house was shocked at the difference! Once treated with oil removal chemicals, we pressure washed his driveway and once dried, we re-sanded his property. He was trilled with the results!. 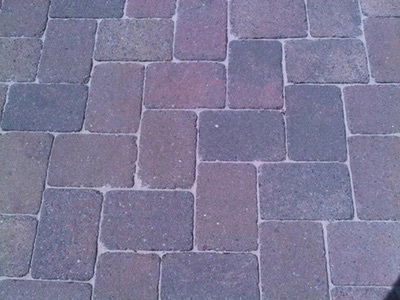 The block paving shown below is for a regular customer of ours. We have cleaned their property on several ocassions. Once seeing our work we some of their neighbours have asked us to clean their properties also. We now have four regular customer in just their little close. We also removed the moss and weeds that were growing in between the blocks.